La cathédrale Notre Dame d'Amiens or Our Lady of Amiens is the largest and tallest cathedral in all of France. Photo: WikiMedia.org. Europe is a playground for travelers across the globe and those who visit these famous stomping grounds are more than likely to return. With a variety of fun-filled travel opportunities and experiences to enjoy, Europe is one of the most visited destinations in the world offering something for every type of traveler, whether you love to ski and hike or sunbathe and explore ancient ruins. We have all heard of world-renowned places in Europe such as the Swiss Alps; Running of the Bulls in Pamplona, Spain; City of Light or Paris; the Vatican and Rome; the Scottish highlands and pristine sun-kissed beaches in Greece, but what about the often-overlooked destinations that no one ever mentions? Here are the top five European hidden gems that are not found in all travel guide books but a worth a visit nonetheless. Notre Dame de Amiens Cathedral fell victim to the wars and while most of its stained-glass windows were destroyed, this 13th-century cathedral retains its title as France's tallest and largest. Plus it bears a striking resemblance to Notre Dame in Paris. Photo: WikiMedia.org. Don't miss out on a visit to this secret European city gem. Amiens is a gorgeous city situated in the Somme region of France. Badly damaged during both World Wars, it's recovering nicely with lots of new and restorative development. Even the city's main attraction, the Notre Dame de Amiens Cathedral, fell victim to the war and while most of its stained-glass windows were destroyed, this 13th-century cathedral retains its title as France's tallest and largest. Its elaborate stonework, ghastly carvings of beheadings and soaring nave must be seen and experienced when visiting Amiens. Taken from the bridge Melkbrug, this view of Haarlem, The Netherlands, along the Spaarne River shows typical Dutch architecture, the Weigh or Waag House (gray building in center), and the white tower of the Bakenesserkerk. Photo: WikiMedia.org. Capital city of the province of North Holland, Haarlem is a medium-sized city and municipality in the Netherlands that is completely different from the rest of the cities. Most people tend to visit the Netherlands to experience Amsterdam without ever venturing 20 km to the west and therefore miss out on one of the most charming cities in all of Europe—Haarlem. Art history buffs will revel in the collections of the 17th-century Dutch Master Frans Hals masterpieces at his namesake musuem. Or visit the Grote Kerk or Sint Bavokerk Protestant Church which was briefly a Catholic cathedral for 19 years during the 16th century when the Protestant Reformation swept through the Netherlands and converted the cathedral in 1578. Inside stands the pipe organ once played by Maestro Mozart. Just across the street is the Historical Museum Haarlem dedicated to preserving the cultural history of the city through collections representing various regional groups. The Grote Kerk or Sint Bavokerk Protestant Church in Haarlem, The Netherlands. Photo: WikiMedia.org. The magnificent Cathedral of Saint Wenceslas in Olomouc, Czech Republic. Photo: WikiMedia.org. Visit the most beautiful towns in Czech Republic and avoid major tourist traps. Enjoy architectural beauty of Czech Republic without bumping into hoards of tourists with a stop at Olomouc, one-time capital of Moravia and approximately 2.5 hours east of Prague. Topping the list of sights in this picturesque city is the Gothic cathedral of Saint Wenceslas. Originally constructed during the 12th and 13th centuries, the facade on its western face that we see today was added in the 19th century thus neo-Gothic would more accurately describe its architectural style. Olomouc's Town Hall Square with the Plague Monument in the foreground. Photo: WikiMedia.org. Don't miss the Town Hall with its astronomical clock that was destroyed by the Nazis in WWII and rebuilt in 1953 by the Communists featuring socialist views of the working class and everyday life depicted in the mosaics and clock works. Don't miss the Black Plague monument in the center of of the square as well. 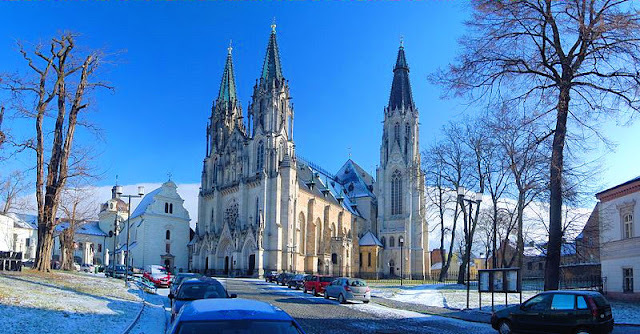 There's something for everyone in Olomouc, Czech Republic, a true European gem. 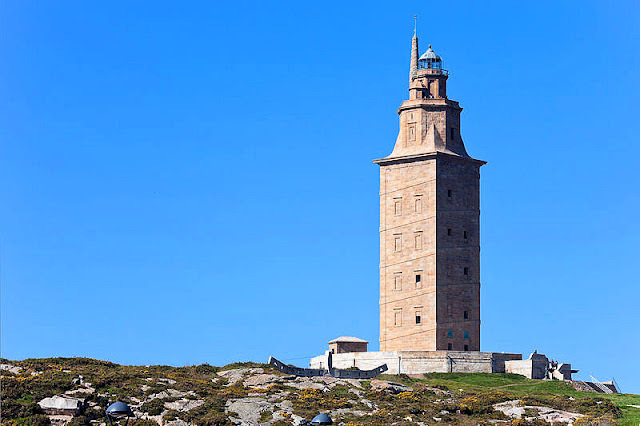 The Torre de Hércules or Tower of Hercules has been standing here on Faro Island since the 2nd century A.D. Photo: WikiMedia.org. Tucked in the northwestern corner of Spain bordering the Atlantic Ocean, La Coruña is steeped in Roman and Celtic history and rich in Spanish culture! Renowned for its characteristic glazed window balconies known as galerías, it's also home to the Torre de Hércules or Tower of Hercules, a second-century Roman lighthouse still in operation today. 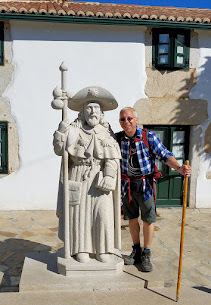 Seek out Iglesia de San Jorge or Saint George Church, the tomb of Sir John Moore—victor during the Peninsular War in the early 19th century. There are a number of museums, the Aquarium Finisterrae and finally the charming coastal villages and beaches of Riazor. 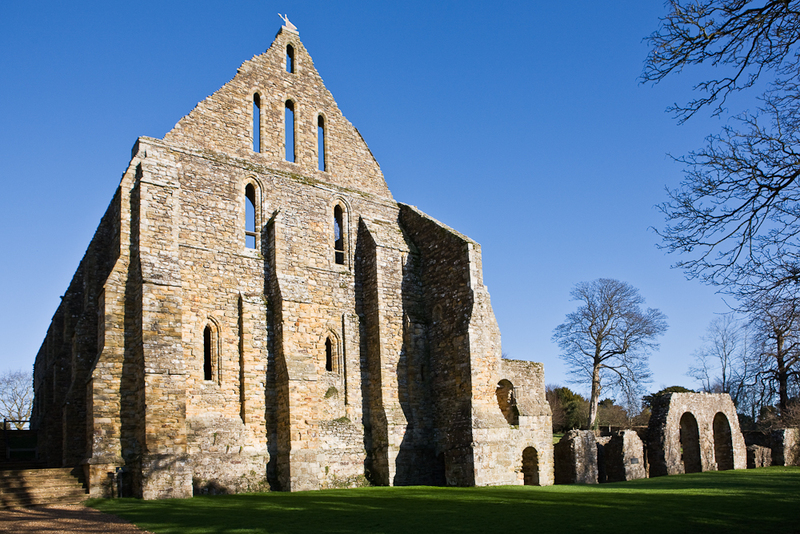 The Battle Abbey Dormitory ruins remain some of the best preserved sections of the abbey. Photo: WikiMedia.org. Visitors to one of England's most iconic sites can witness the finest portrayal of the 1066 battle at Hastings where William the Conqueror defeated the Saxon King Harold and marked the end of Anglo-Saxon England. After William triumphed, he built the 11th-century Battle Abbey on the exact same spot where King Harold was defeated. Although only an outline of the original abbey remains today, you can see some of the best-preserved sections dating back to the 13th century. Travelers to Rouen, France, can relive the battle through the renowned Bayeux Tapestry embroidered during the 11th century. While the abbey ruins, museum and visitor center all remain open, part of the battlefields are closed currently. Shoppers will revel in the nearby quaint village as well. 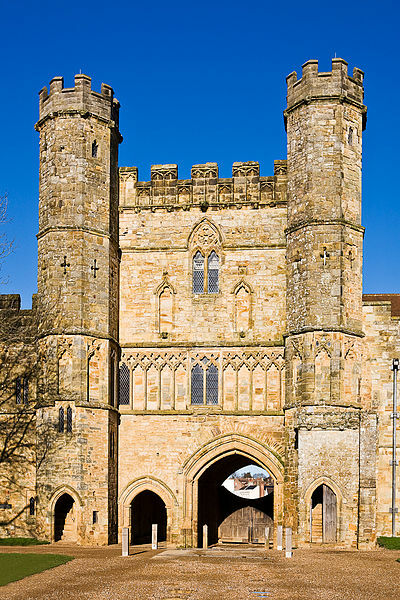 The Battle Abbey Gatehouse is another well preserved section of the abbey. Photo: WikiMedia.org. There are many more hidden gems of Europe to be seen and experienced! 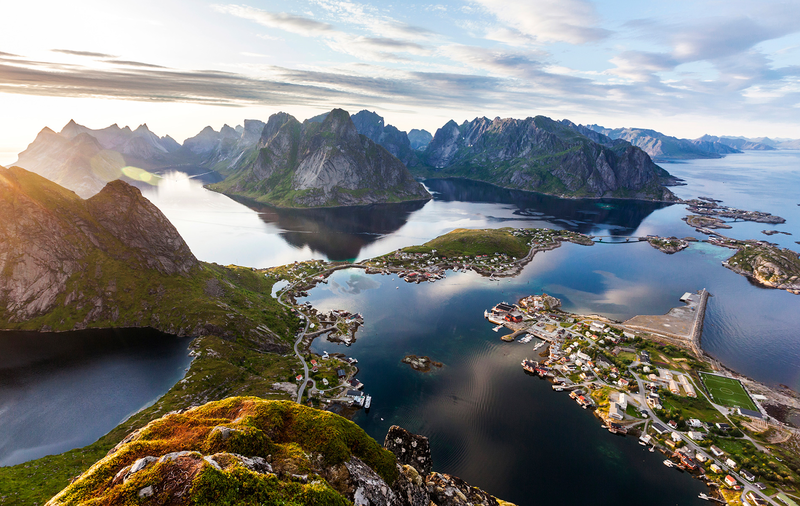 What are some of your favorite off-the-beaten-path European destinations? Please share them all! Natasha Jervis is a dedicated and professional travel copywriter with over 14 years of experience in the travel and tourism industry. Some of her past and current roles include the New York Times travel channel on About.com, Sunwing Vacations, CanadaTravels.com, Escapes.ca and a variety of other worldwide travel media resources. You can find some of her more recent works here. Hi there my friend and thx so much for stopping by!! Well, now you'll just have to head back to Europe and discover these hidden gems! Excellent choices. I have to add these. 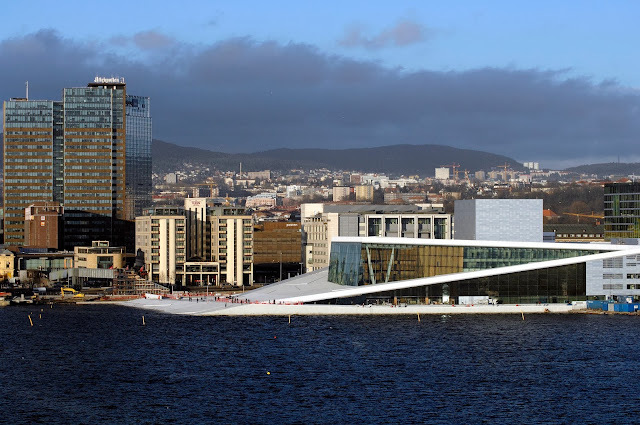 I've traveled so much in the last 10 years in Europe and have only been to one of these. Wow. Cheers Simon and thanks so much for stopping by and for your kind words!! Wonderful post! I was disappointed we missed seeing Haarlem during our Netherlands trip. HI there Barbara and thank you so much for stopping by. I too missed Haarlem on my voyage to the Netherlands but I am happy that my guest blogger shared this destination in their selection of the top 5 hidden gems of Europe! Thanks for following us on Twitter! La Coruña is a great pick, more people should head up to Spain's northwest coast. Hi Chris and thanks so much for stopping by and offering even more advice.